Our coffees are produced in the Republic of Panama, a small strip of land that unites North and South America. 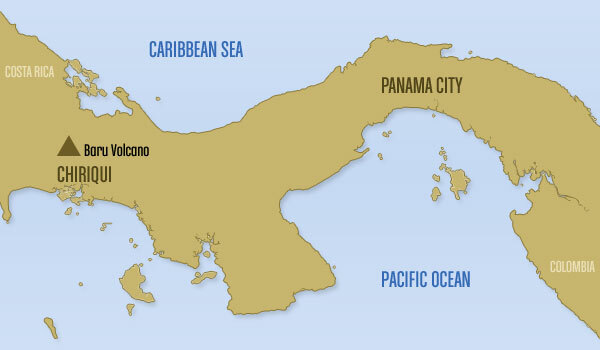 Panama is located 9 degrees north of the Equator and is home to the Panama Canal. 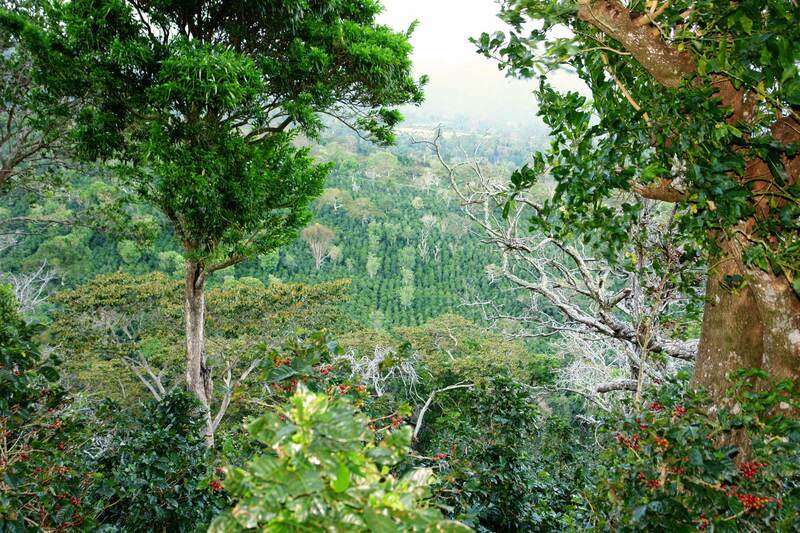 Our farms are located in the highlands of Chiriqui, a province in the West of Panama. Chiriqui -meaning the Valley of the Moon in the language of Pre Columbian indigenous communities that lived here – is bordered by the Pacific Ocean, at just 3 hours by road from the Caribbean Sea (Bocas del Toro ). Chiriqui is at the border with Costa Rica and at 7 hours drive from Panama City and its Canal. Chiriqui is one of the most productive provinces in Panama because of its climate and fertile soil. Cattle activities, horse raising, flower growing, trout fishing, banana plantations, and the long-established production of vegetables and coffee take place in Chiriqui, the breadbasket of Panama. The highlands of Chiriqui were our farms are located are composed of two main areas: Boquete and Volcán-Candela. The picturesque town of Boquete has been in in the tourism spotlight in the last decade because of its spring-like weather, cost of life, and the many activities available in the area. However, the true essence of Boquete is found in the century-old tradition of coffee production: in fact, Boquete is home to some of the most unique coffees in the world and boqueteños take great pride on that. The fertile conditions on the areas surrounding the Baru Volcano, regular rainfall and appropriate altitude are a key factor in the success of coffee production: The rich nutrients found in the volcanic soil, abundant moisture and cloud cover nourish the coffee plants producing high quality beans that develop a rich, deeper flavor. The Volcan-Candela areas are known as the breadbasket of Panama, for most of the food consumed in the country comes from this area and nearby Cerro Punta. As tourism is also a key component of the economy of the Highland area, coffee tours are one of the most popular attractions here. Usually, coffee tours include a visit to coffee plantations and to processing plants usually ends with a cupping of coffee. The area is also the main flower supplier in the country. The Baru is a dormant volcano located between the Boquete and Volcan-Candela areas. At some 11,400 feet above sea level, the Baru is the highest point in Panama. The mountain is also of high ecological importance. Surrounded by the cloud forest, hundreds of species of plants, birds (such as the Quetzal species), mammals and insects live here. The Baru forms part of a protected area known as Parque Internacional La Amistad (PILA). Jointly administered by Panama and Costa Rica, La Amistad is inhabited by diverse and complex flora and fauna that reflects the ecological importance of Panama as a path between North and South America. La Amistad is a well-known destination for birdwatchers. Thousands of species of birds are ubiquitous of the area. The park is home to the elusive Resplendent Quetzal (Pharomachrus mocinno), an endangered beautiful bird considered sacred by the ancient Mayas.